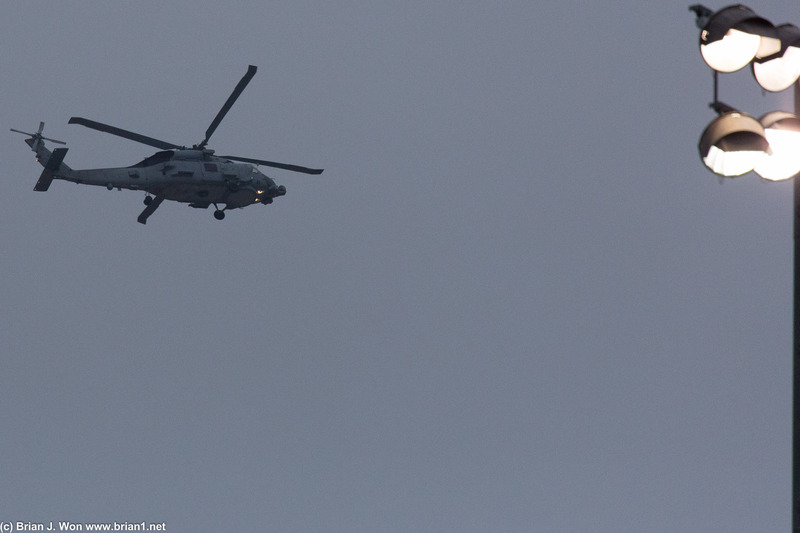 US Navy MH-60R cruising overhead. Space Shuttle external tank ET-94. 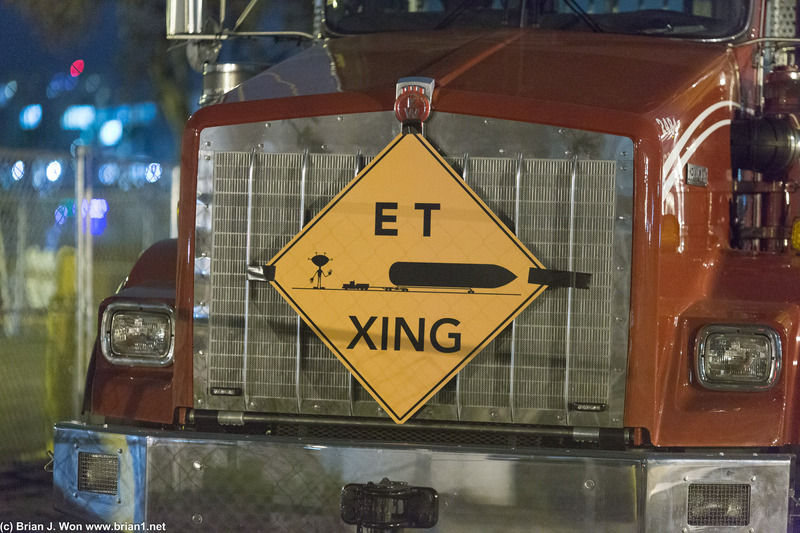 A regular big rig can transport the ~66,000lb ET. I wonder how many drivers they&apos;re going to need this weekend. 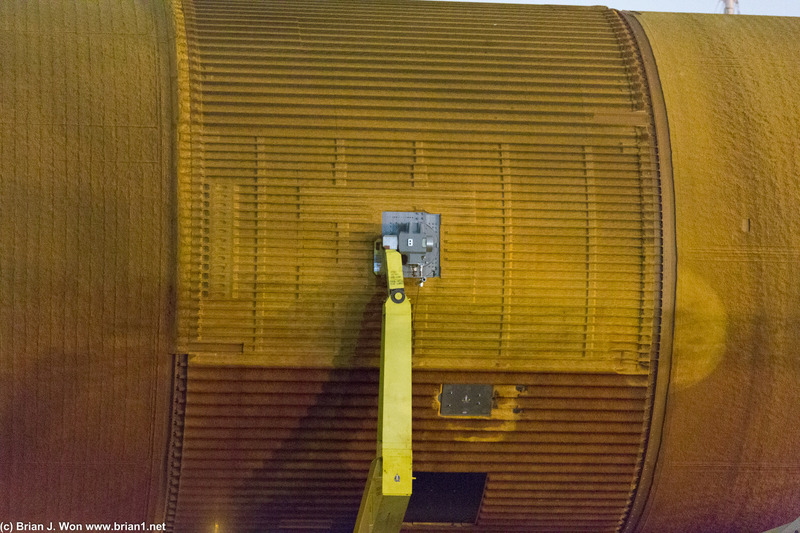 The last remaining flight-worthy Space Shuttle External Tank. 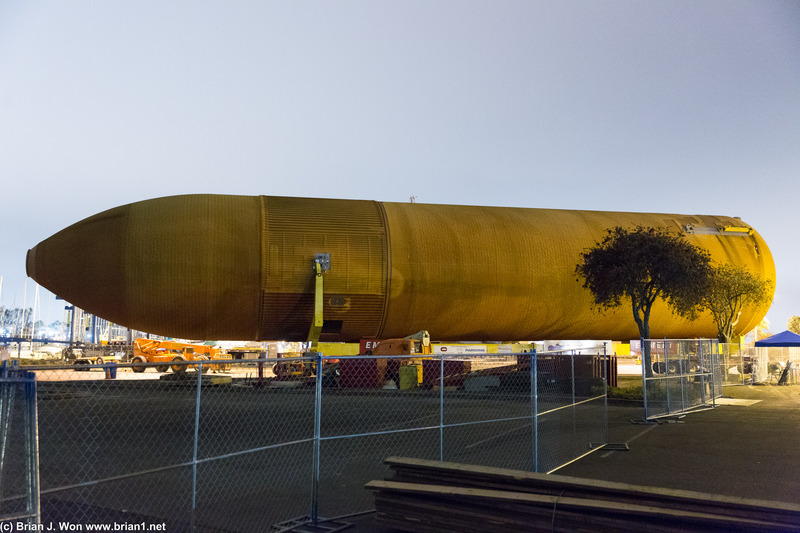 After watching Space Shuttle Endeavour's arrival in Los Angeles not quite four years ago, we definitely had to watch the last flight-worthy Space Shuttle External Tank make its arrival as well. 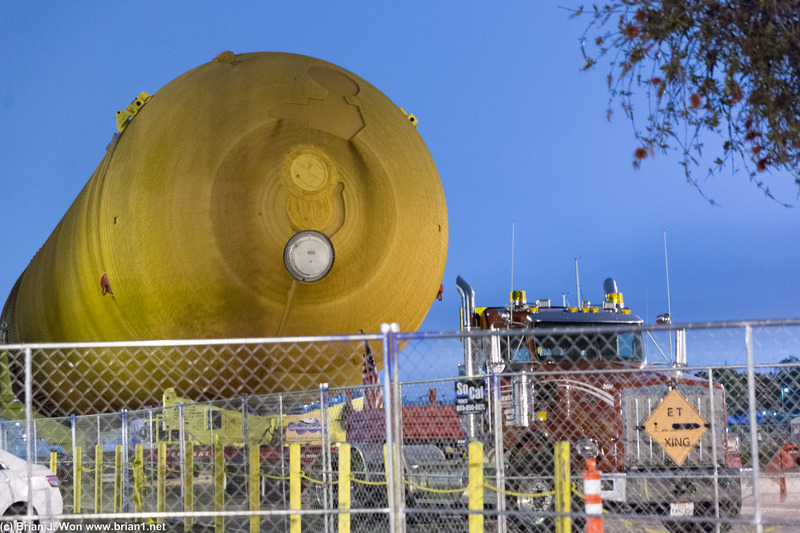 At 65,000lb empty, 27.5 feet diameter, and 154 feet long, the lightweight external tank (LWT) is small enough to be pulled by a regular tractor trailer and can be moved down the road with much less disruption than a Space Shuttle. 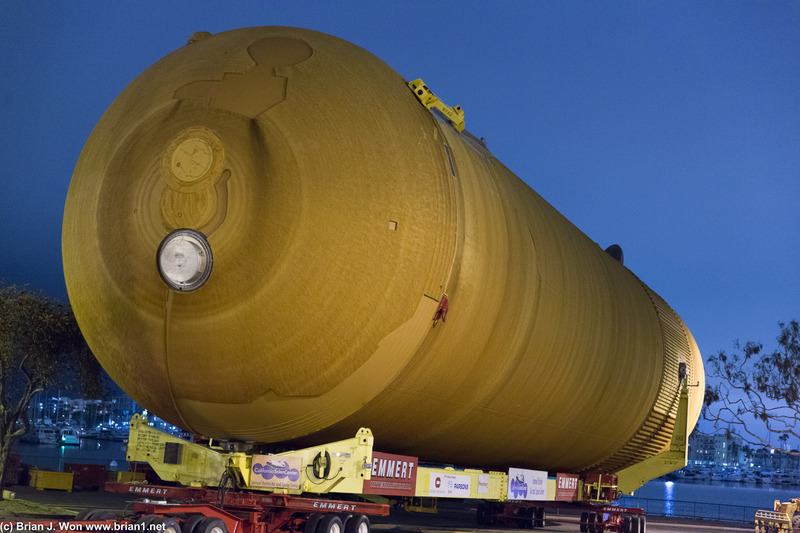 It's stil a significant piece of space history as the last flight-worthy external tank in existence (they burned up in the atmosphere when flown on missions), even if it's less magnificient than the orbitier that was attached to it. t'was parked in a small section of a parking lot near Fisherman's Village and was easily visible, including a custom-made sign saying "ET CROSSING." Quite a sight-- I just wish I could've gotten there during daylight hours!